I don't often photograph friends and their babes, but when a friend from the Darling community reaches out in hopes of getting some photos of her and her sweet daughter, you jump at the opportunity. There are few souls as beautiful and tender as those of the Darling family, and the more you know, the richer your life is. These are my favorite from their session around their adorable Maspeth, Queens apartment. We made homemade tea in the warm fall light, snuggled with Kono the pup and did our best to keep the sleepy bunny awake and giggly. 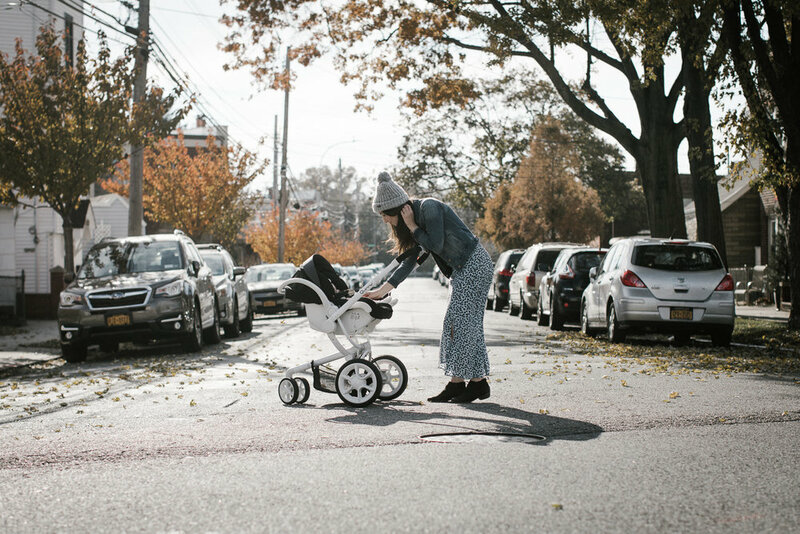 Keep an eye on Maria and her blog, Mama in the Making, as is grows and flourishes. She focuses her honest and open heart towards expressing the beautiful and difficult moments of being a stay and home mom in New York. It was a joy photographing her and her love, Adeline Rose.